I wonder if this Italian Metal band understands that in English their name translates to sound something like Barbara Walters' speak for keep practicing boys. To see the name of this "Thrash" metal band check the comments section. 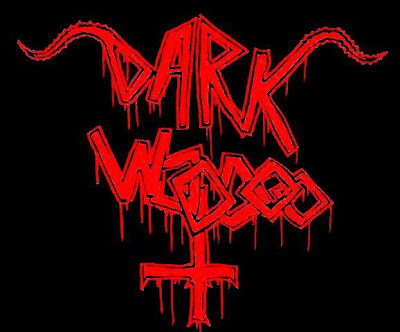 This woodcut like logo really does say Dark Woodoo. Hmmm, I was hoping it was Dark Wazoo.